Analtech Brand SPICE Cartridges are pre-packed with adsorbent and ready for use. Molded of medical grade polypropylene, each cartridge contains 1 cc of packing. A porous frit and outlet filter combination contain the packing and will remove sample particulate down to 10 microns. 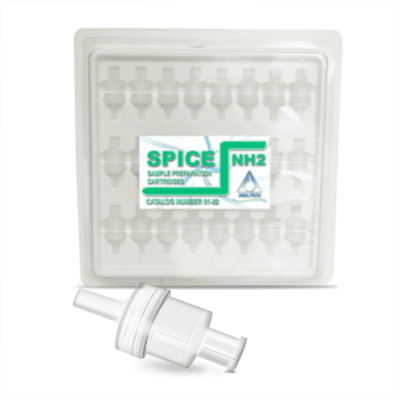 In normal use, SPICE sample preparation cartridges are compatible with organic solvents and aqueous solutions. Precision Luer fittings provide leak proof liquid connections.